Scientists are marveling at a keenly evolved canine, not only because of its physical qualities, but for the rapid expansion of the population as well. One key question remains unsettled by biologists with regards to the coywolf: Is it actually a different species? In the northeastern region of North America, a century or two ago, wolves were in trouble. Humans were fundamentally altering their habitat, chopping down trees and creating new farmlands for themselves. Wolves saw fewer of their own kind, but more coyotes coming across the plains as well as the farmers’ dogs. Instead of a weaker offspring, what emerged was more advanced in seemingly every sense. Dr. Roland Kays of North Carolina State University described it as an “amazing contemporary evolution story that’s happening right underneath our nose” to the Economist. Dr. Kays estimates that there are millions of coywolves populating eastern North America, spreading southward from their original home in southern Ontario. 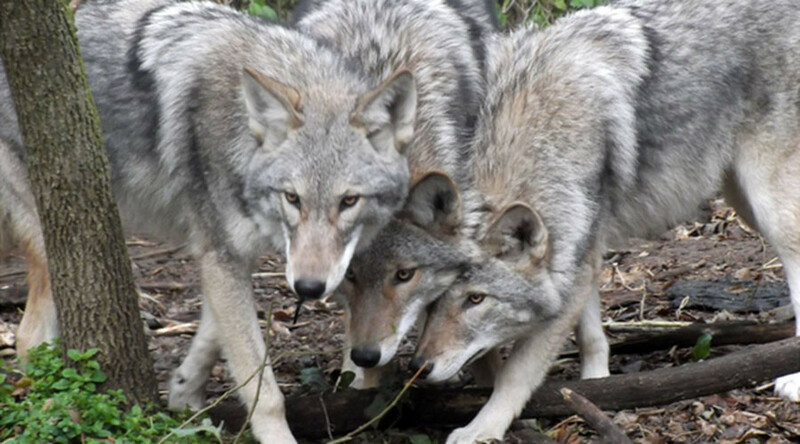 Ecologist and evolutionary biologist Javier Monzon, previously at Stony Brook University in New York, now at Pepperdine University in California, analyzed 437 coywolves’ DNA and found the genes to be about 65 percent wolf, 25 percent coyote and 10 percent dog. Beyond the physical, their ability to adapt environmentally is also expanded. Coyotes favor open spaces, but wolves do better with forestry. Coywolves? They love both. And in the last decade, they’ve even sprung up in cities like Boston, Washington, DC, and New York City. The Gotham Coyote Project counts 20 of the hybrids in New York. City-dwelling isn’t so much of a challenge for the coywolves. They’ve been observed looking both ways before crossing the street. They eat garden produce and scraps as well as rodents or pets. Evolution has shown them a world of flavors, and they aren’t picky. Lawns and parks make for great hunting grounds, especially at night, which is when most choose to come out. If a coywolf spots an appetizing cat, no part of it will go undigested. Controversy over how to classify the coywolf is bound to grow. Jonathan Way, founder of Eastern Coyote/Coywolf Research and author of Suburban Howls, will claim the hybrids are so unique that they are their own species. The definition of “species” isn’t exactly clear. Some scientists say a species is defined by its inability to reproduce with other species, and since coywolves still mate with coyotes and wolves, that would seem to disqualify them. However, that brings up the question of whether coyotes and wolves are their own species themselves, since they certainly are the genetic parents of coywolves.